Below you can find books that we recommend as part of our #resourcethursday feed. We want to be transparent and note that we receive affiliate commissions for sales of most, but not all, of these products - it helps us do what we do! We only list items that we genuinely recommend as valuable resources for young architects - that’s why the list is so short! "This complete guide to building your own home covers every step of the process ... Both George Wilkie and Stuart Arden are architects and academics." A well rounded Australian residential construction resource - a great staple for architecture student. Includes clear diagrams and details. A best selling and generally respected source of information. An excellent introduction to more complex architectural detailing for the detail thirsty student or graduate. Details are cross referenced, enabling the reader to browse by project, or by detail type. Uses work by respected architects to ensure high quality examples. Note: Other books in this series cover details in timber, glass, and concrete architecture, and can also be found through the link below. "The Metric Handbook is the major handbook of planning and design data for architects and architecture students. Covering basic design data for all the major building types it is the ideal starting point for any project. For each building type, the book gives the basic design requirements and all the principal dimensional data, and succinct guidance on how to use the information and what regulations the designer needs to be aware of." Metric sizes for spaces in relation to people and vehicles. Sizing and layout advice for various facilities/rooms. Covers a wide range of building types/use - handy for building realistic briefs for University projects. "Your Home is your guide to building, buying or renovating a home. It shows how to create a comfortable home with low impact on the environment – economical to run, healthier to live in and adaptable to your changing needs." A thorough starting point for general information about designing and building environmentally sustainable homes. Includes case studies for various locations. A straightforward introduction to ‘the business of architecture’. 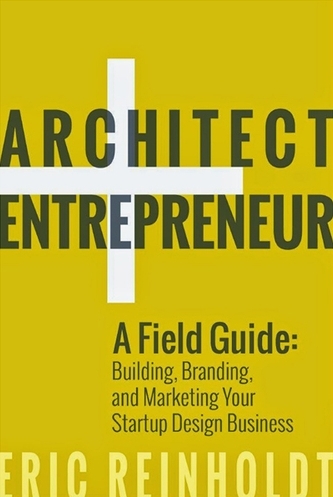 Covers key areas of starting and managing a business, specifically for architects. Dispels the ‘starving artist’ attitude that is bred at University. 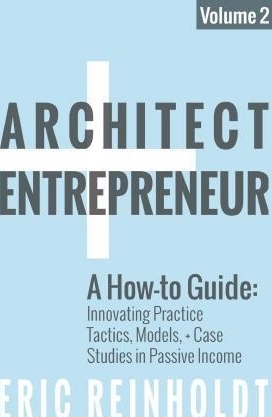 An excellent introduction to alternate forms of income for architects. Simple introductory instructions for building alternate forms of income. Lessons on valuing architectural services and product.